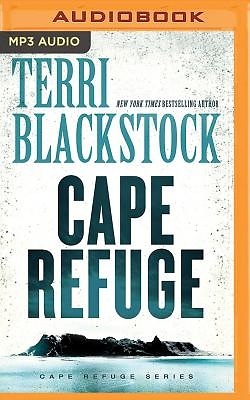 When the kindest couple in Cape Refuge is found murdered at their church, their daughter will have to find the killer...before her own husband is convicted. Not too far off the Georgia coast lies the small island of Cape Refuge. Wade and Thelma Owens run a halfway house there that caters to wayward souls just out of prison. So when Wade and Thelma turn up brutally murdered, the town goes into shock, concerned that one of the Hanover House residents is a murderer who could strike again. When police discover that the murder weapon belongs to the Owens's son-in-law Jonathan Cleary, he's arrested for murder. Shattered by her parents' deaths, Morgan Cleary struggles to keep Hanover House running while her husband sits in jail. Her sister Blair is no help. Blair wants no part of her parents' ministry or their faith. They'd devoted themselves tirelessly to serving God, only to be brutally murdered. Why didn't God protect them? She wants to dump the ministry and sell the house--until her determined search to find the true killer uncovers some startling family secrets. As the killer runs free, a lethal race against time ensues, with far more than Hanover House at stake.